2018 Billboard Artist to Watch Jessie Chris announced this week that she is embarking on a nationwide anti-bullying tour in which she will visit 100 middle schools across the country. Chris, the victim of extreme bullying when she was younger, has made promoting an anti-bullying platform a major element of her career and to date has visited more than 75 schools. She has previously served as an ambassador for Disney’s “Choose Kindness” campaign as well as Sylvania Lighting’s “Be the Light Campaign” and plans to share with the students her experiences with hopes of helping those who might be suffering as well. Chris last year made her national TV debut on the Today Show when she was the first country artist to be named Artist of The Month by the legendary Elvis Duran. 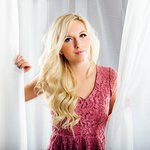 She was also the youngest performer at the 2015 CMA Festival, returned to the iconic event in 2017 with a performance on the Radio Disney Country Stage, and last year joined Kelsea Ballerini, LoCash, Scotty McCreery and Lauren Alaina on the Disney healing anthem “The Human Race” which reached #6 on iTunes Hot Tracks. Chris just released her new album “In It For You” earlier this month. “Having been able to overcome the bullying I faced and pursue my dreams is living proof that if one believes in themselves and turns down the volume of those who bully anything is possible. I am a big sister at home and I love visiting the schools and being a big sister to the kids when I speak with them. If I can help just one student that has been facing adversity then I have achieved success,” said Chris. Chris is partnering with the Association for Middle Level Education (AMLE), a non-profit membership organization with 53,000 middle school educators as members, to identify middle schools to visit. “We appreciate Jessie’s commitment to helping our middle school students with her anti-bullying message and songs of hope and kindness,” said AMLE Executive Director Dr. William Waidelich. If you are a school that is interested in having Jessie visit, please contact her manager, Jeff Gulko at jeff@thegulkogroup.com.